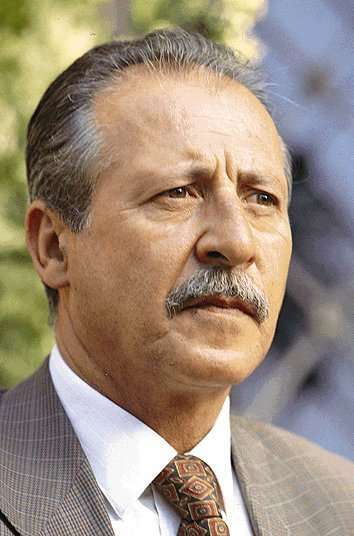 Paolo Borsellino, the judge who was helping to wage a successful war against the Sicilian Mafia when he was murdered in 1992, was born on this day in 1940 in Palermo. He and his boyhood friend, Giovanni Falcone, became the most prominent members of a pool of anti-Mafia magistrates set up in the 1980s to investigate organised crime and share information. They made considerable progress in weakening the Sicilian Mafia, also known as Cosa Nostra, in particular through the so-called Maxi Trial of 1986-87, which resulted in 360 convictions and prison sentences totalling 2,665 years. Yet both were killed within the space of two months, Falcone on May 23 by a bomb placed under the motorway between Sicilian capital Palermo and the city's airport, Borsellino on July 19 by a car bomb as he left his mother's house in the centre of the city. The two were born and raised within a few streets of one another in the Kalsa district of Palermo, not far from the tree-lined Foro Italico Umberto I, the broad thoroughfare that runs along the city's waterfront. It was a middle class neighbourhood that suffered severe damage in air raids as the Allies prepared to invade Sicily in 1943. The Borsellino house in Via della Vitriera, next door to the pharmacy his parents ran, was eventually declared unsafe, although the family lived in it until 1956. He and Falcone would sometimes play football together in the nearby Piazza Mangione, where the group of boys joining in the games included several future mafiosi, including Tommaso Spadaro, who would play a key role in the so-called Pizza Connection drug trafficking racket that distributed heroin through pizza restaurants in the United States. They met again at Palermo University. They had different political leanings, Borsellino joining a right-wing student group affiliated with the neo-fascist Movimento Sociale Italiano, while Falcone, despite a middle-class conservative background, attended meetings of communist sympathisers. Paradoxically, though their political ideologies were diametrically opposed, they were united in opposition to the Mafia and both decided to become magistrates. Borsellino left with an honours degree in Law. After working in several Sicilian cities through the 1960s and 70s he returned to Palermo in 1975 and achieved a noteworthy success when he identified and arrested the killer of a Caribinieri captain. Soon he was seconded, along with Falcone and three others, to the anti-Mafia pool created by a senior magistrate, Rocco Chinnici. Their investigations into Mafia activities and links between organised crime and prominent political and business figures quickly made them potential targets for assassination and a life of secret meeting places, armoured vehicles and police bodyguards became the norm. 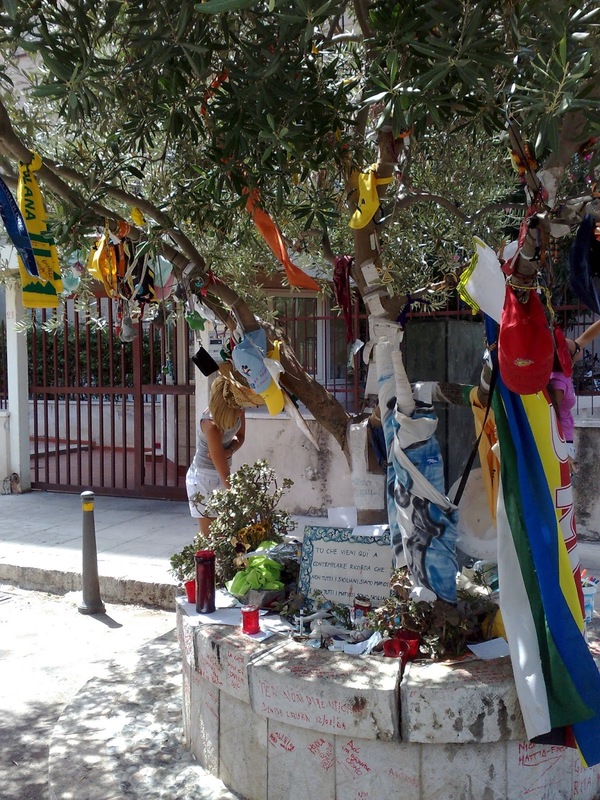 In 1986, soon after the Maxi Trial, Borsellino became head of the Public Prosecution Office in Marsala, the port at the most westerly point of the island, about 126km (80 miles) from Palermo, but continued to work closely with Falcone, even though the Pool had essentially been broken up. Some of the academics who have studied the Mafia believe the two were close to bringing Cosa Nostra to its knees when they were murdered and there has been speculation that alleged links between the organisation and the state prompted their killings because they knew too much about corruption at high levels. 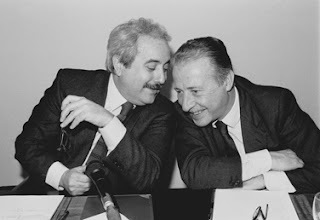 Borsellino, who left a wife and daughter, is considered as one of the most important figures in the fight against the Mafia, not least because the Maxi Trial established for the first time that Cosa Nostra was a real, functioning organisation, rather that a word coined merely to describe a mentality shared by criminals who were otherwise unconnected. The Palermo International Airport is now known as Falcone-Borsellino Airport and there is a Velodromo Paolo Borsellino multi-use stadium in Palermo. In 2006, he and Falcone were named in a list of 'Heroes of the Last 60 Years' by Time Magazine. The Foro Italico Umberto I takes its name from the wide area of lawned public space between the road and the sea, established on the site of a coastal path created in the 16th century which became popular in the 17th and 18th centuries as a leisure area for wealthy Palermo families. Covering approximately 40,000 square metres, it encompasses a network of paths, lit up at night, plus trees and flowers, benches and ceramic statues and a scenic walk along the sea front. It was named the Foro Italico with Italian unification, with Umberto I added as an emotional response to the murder of the monarch by an anarchist in 1900. 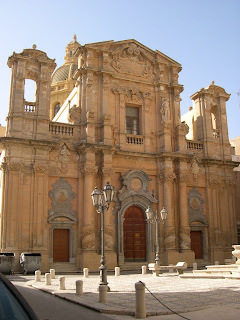 As a tourist destination, Marsala is somewhat overshadowed by nearby Trapani and the Greek city of Selinunte, which has the remains of five temples. Yet the town has plenty of history of its own and its archaeological museum is considered worth a visit. It is also well known for its fortified wine and as the port where Garibaldi landed in 1860 with his Expedition of the Thousand, an integral part of the sequence of events that culminated in the unification of Italy.